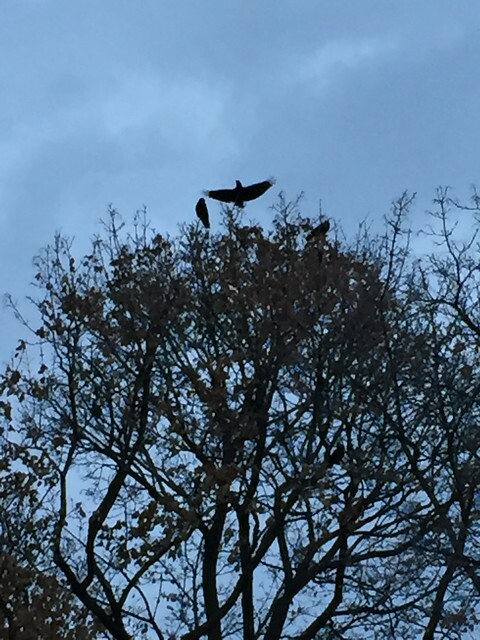 I was walking through the park when I heard the loud cawing of crows. Just outside the park hundreds of crows were gathering in the trees. 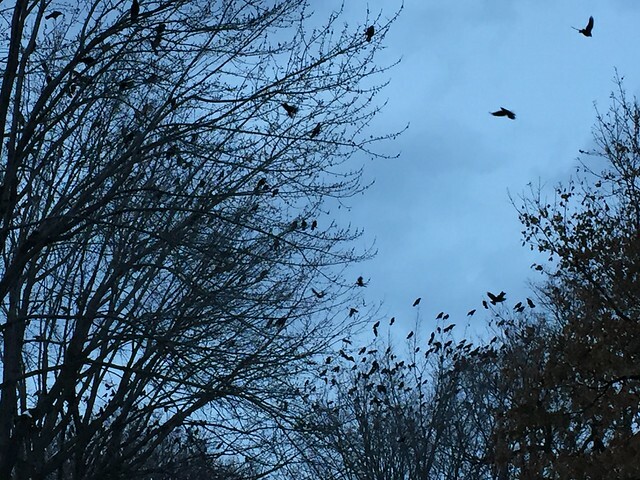 I've seen swarms of crows like this before. Why do they do this? 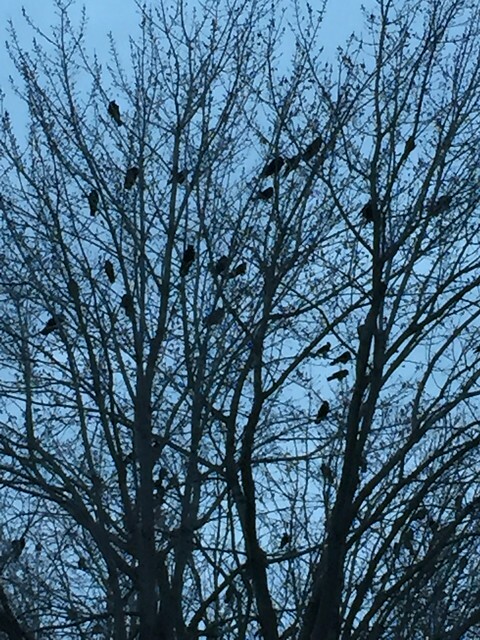 I know they return to an area to roost each evening but this is not their usual roosting spot. Whatever the reason, it is quite a site to behold. I was just sorry I only had my phone camera with me. My walk was not a planned photo walk.